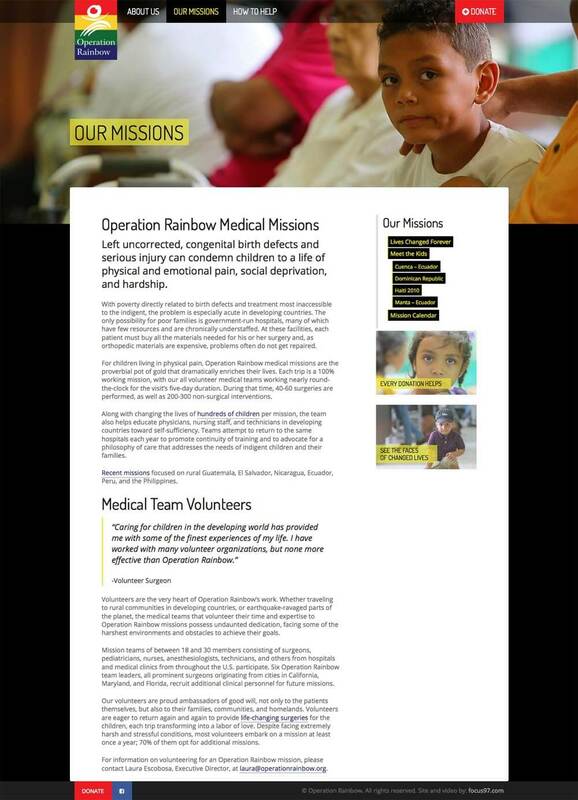 Operation Rainbow is a nonprofit, humanitarian organization dedicated to performing free orthopedic surgery for indigent children and young adults in developing countries. 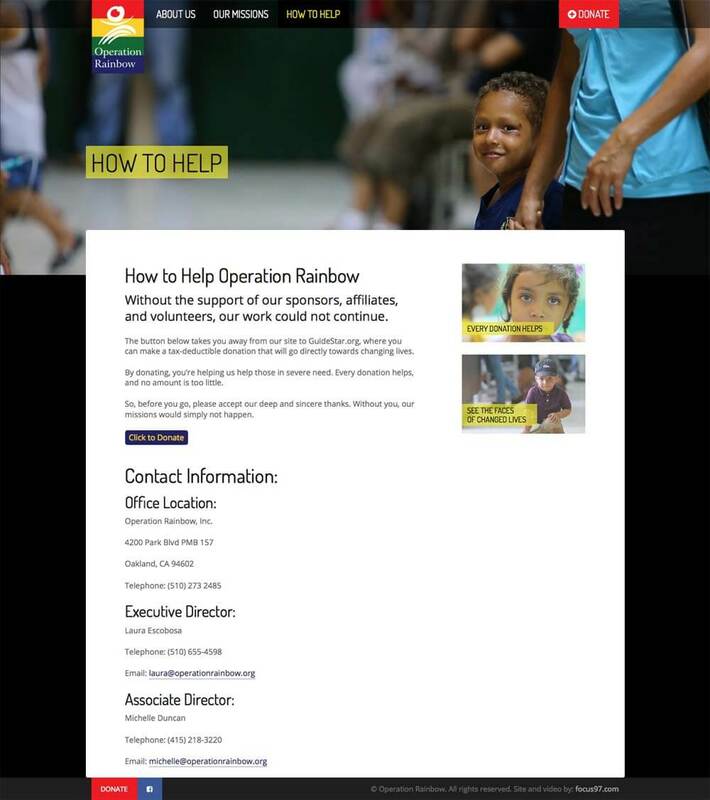 The people behind Travers + Todd have been working with Operation Rainbow since 2008. 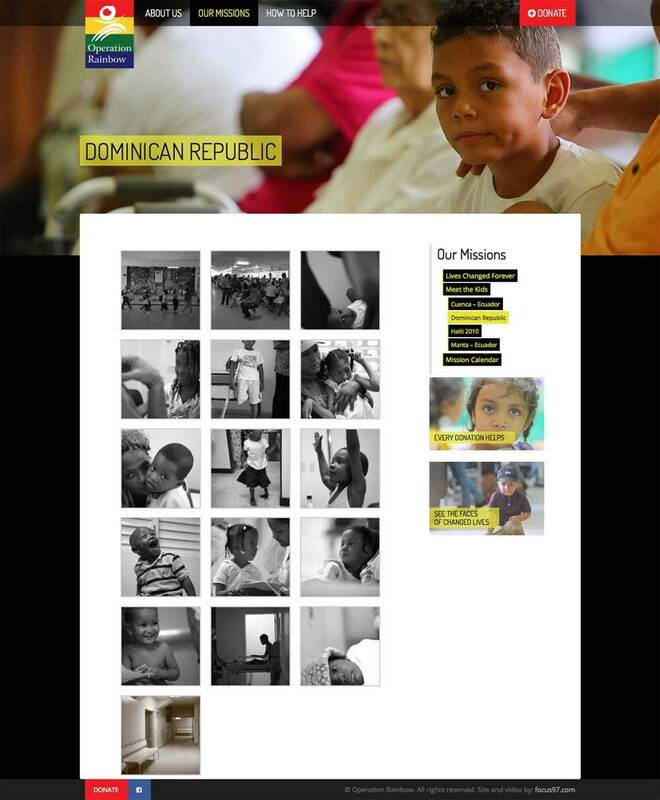 That year, Mike was invited to join a humanitarian mission to Ecuador, and once back, rebuilt their website to create a new, stronger presence. 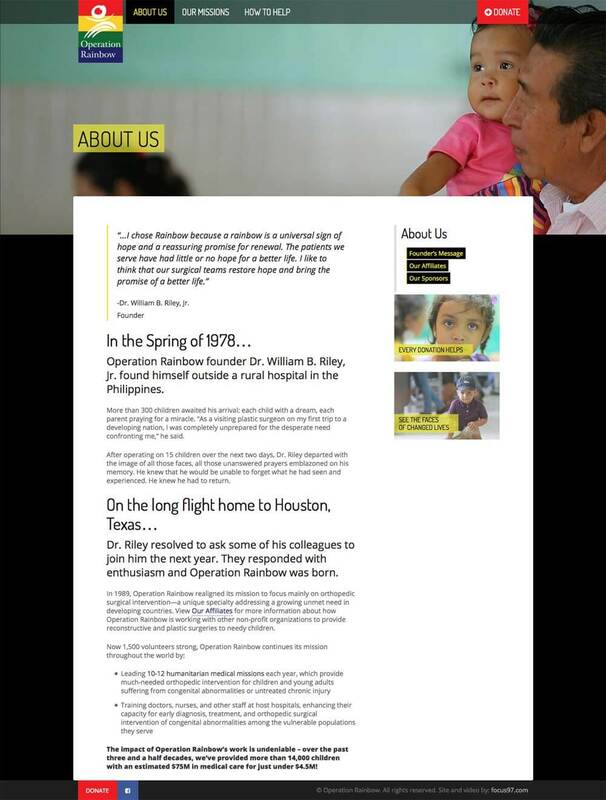 Six volunteer missions later, including in 2011 where both Mike and Josh went back to capture and produce a short video, we remain dedicated to helping Operation Rainbow help others.